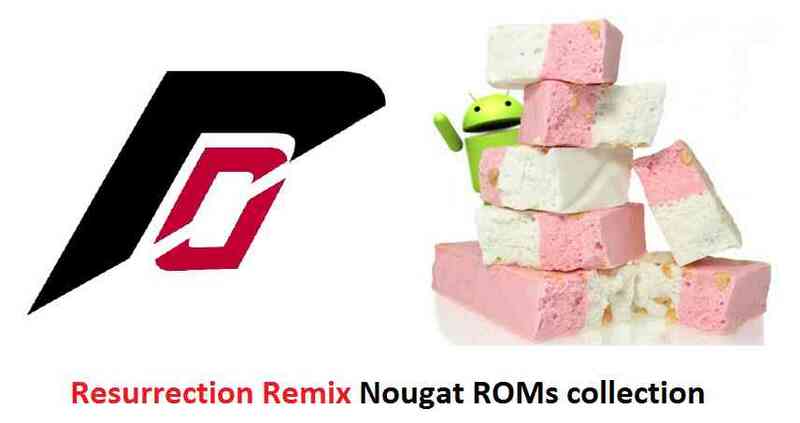 There are many Resurrection Remix Nougat ROMs available for many devices. I know its late but that’s how the ROM community works. Resurrection Remix is built on top of CyanogenMod ROM, so Resurrection Remix cannot come in anyway before CyanogenMod release for a new Android version. By the time the Resurrection Remix is ready for many devices, we already have many UNOFFICIAL CyanogenMod 14 list and OFFICIAL CyanogenMod 14.1 ROMs available. Below list provides an alphabetically arranged Download and Update guide of Resurrection Remix Nougat ROMs. Resurrection Remix ROM is one of the popular ROMs after CyanogenMod among Android ROM developers and Custom ROM users. The Resurrection Remix ROM in short RR ROM is based on CyanogenMod custom ROM. Unlike the Android versioning scheme and CyanogenMod version numbers, RR follows a completely different version numbering scheme and it’s not straight forward to know which version of RR ROM is Android Nougat or Marshmallow. For the same very reason we are here to collect all the Resurrection Remix Nougat ROM If you will watch closely the CyanogenMod number matches the number of alphabet corresponding to the Android version. Resurrection Remix nougat ROM is one out of many custom ROMs available in the market based on CM14/CyanogenMod 14 Nougat source code, such as: BeanStalk ROM, CyanPop ROM, Cyanide ROM, Mokee ROM and many more. Many devices running on Resurrection Remix might not be stable yet as it’s dependency ROM CyanogenMod 14 is more or less instable. You can find more details of the ROM on each page of a corresponding Resurrection Remix update guide for a specific device. Many of them lack of the working status details, in which case you must proceed with CAUTION and with a NANDROID backup of course. It is always better to have a backup of the current ROM before upgrading to any of the Android Nougat ROMs whether it be AOSP or CyanogenMod 14 or any other ROM. If you want a stable ROM for day-to-day usage then I will suggest you to go for an OFFICIAL CM14.1 if available or else a CyanogenMod 13 (CM13) Marshmallow ROM otherwise, if the CM14 ROM for your device is not stable yet. It is not guaranteed that the CM13 ROMs will be stable but it is EXPECTED that they will be stable because those ROMs are being updated since more than a year. Also, the CyanogenMod ROMs lack any Google Applications in it and so, you need to update the Nougat GApps for Resurrection Remix Nougat ROMs separately after updating the Resurrection Remix Nougat ROM. Resurrection Remix nougat ROM is one out of many custom ROMs available in the market based on CM14/CyanogenMod 14 Nougat source code, such as: BeanStalk ROM, CyanPop ROM, Cyanide ROM, Mokee ROM and many more. Sir plzz, Develop lineage OS for this device. Humbly requesting you sir. Thank you for contributing your precious time. I’ll happy if i could donate some for development because developers do this for free. They nothing asked for returning but some people don’t even say thanks to them after got the desired ROM. Please sir, add the OPPO A37f in the list. Humbly requesting you sir. Currently there is no custom rom fo this device. Please add for Oppo Find7 / Find7a support 😉 ? can you port this rom to pptv king 7 ?